Ahh, October. The leaves are morphing into their trademark Autumn hue and we’ve been as busy as ever in the Tree House barn. Our pale hoppy offerings are still churning about at their regular pace but we’ve begun to inject a bit of seasonal flair into our tanks. “Snowtober”, our Porter, was brewed last week and should be ready before Halloween. “Awesome Autumn Ale”, our Imperial Ale brewed with restrained Autumn Spice and aged in stainless on Madagascar Vanilla Beans should be ready around the same time. Autumn and winter promise to have other surprises in store, but more on that later. Oh, and we’re carving pumpkins! 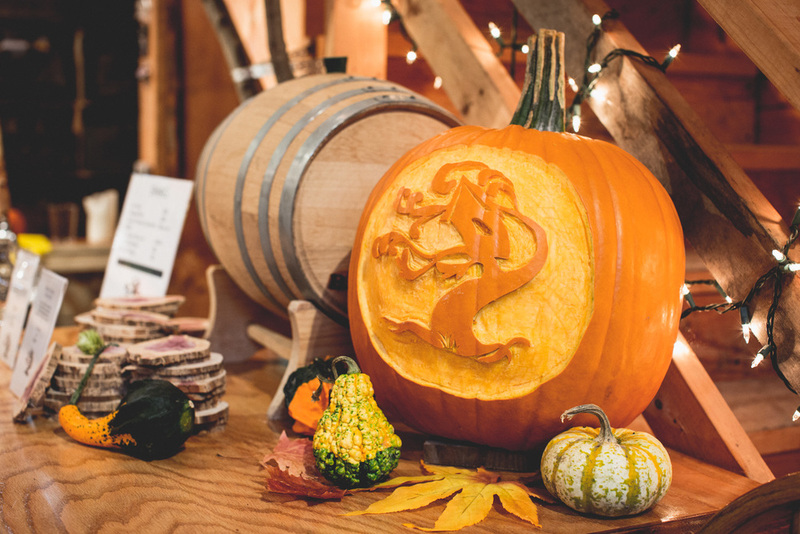 Damien has once again lent his talents to the face of an unsuspecting pumpkin and produced the Tree House logo in all her glory. He rules, but we want you to get in on the fun too! Carve a pumpkin - either a skin carving like Damien did or a standard style carving. No theme - Carve to your heart’s content. But be aware that if someone successfully carves Dean’s face into a pumpkin they will very likely win. Bring it to Tree House on or before October 26th. 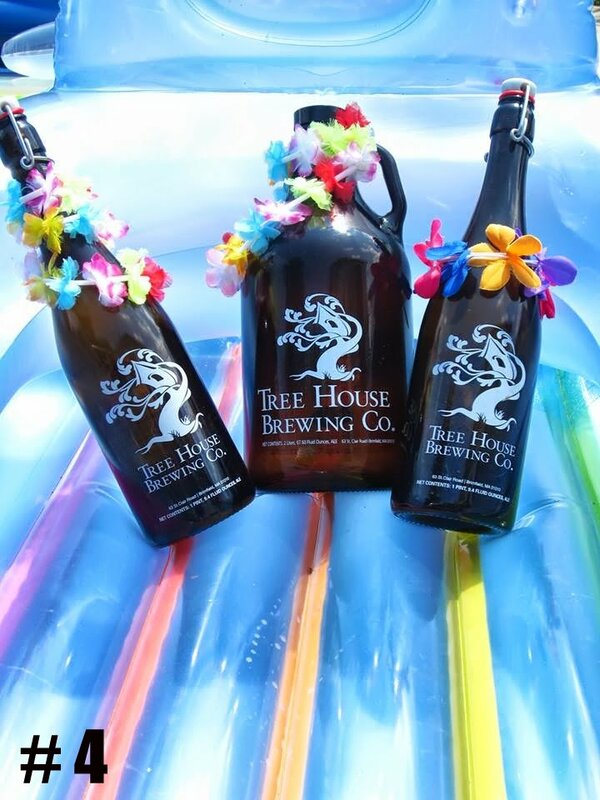 All others - I’ll be taking a group photo of all the entries to be shared on www.treehousebrew.com . Everyone's a winner. We’ll be doing our part to raise awareness for this terrible disease through T-shirts and signs in the retail shop, but also by donating 5% of our total sales from Saturday, October 26th to the Breast Cancer Research Foundation. If you’re interested in helping personally, please go here to make a donation. Every little bit counts. Thank you for listening. A celebration & a reflection. It's been an insanely busy few months and through the madness we never had an opportunity to properly reflect upon and celebrate our one year anniversary! 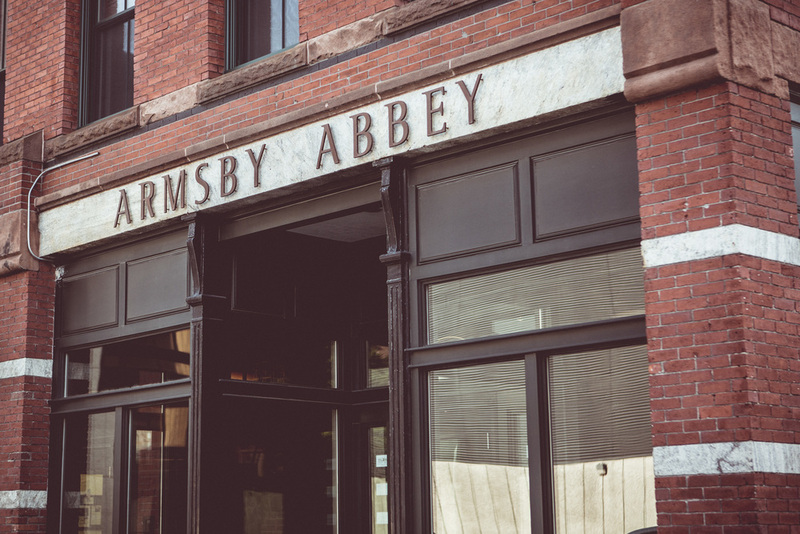 Thus, you can imagine how excited we were when our good friends at Armsby Abbey had the idea to collaborate with us on our very first beer pairing dinner! 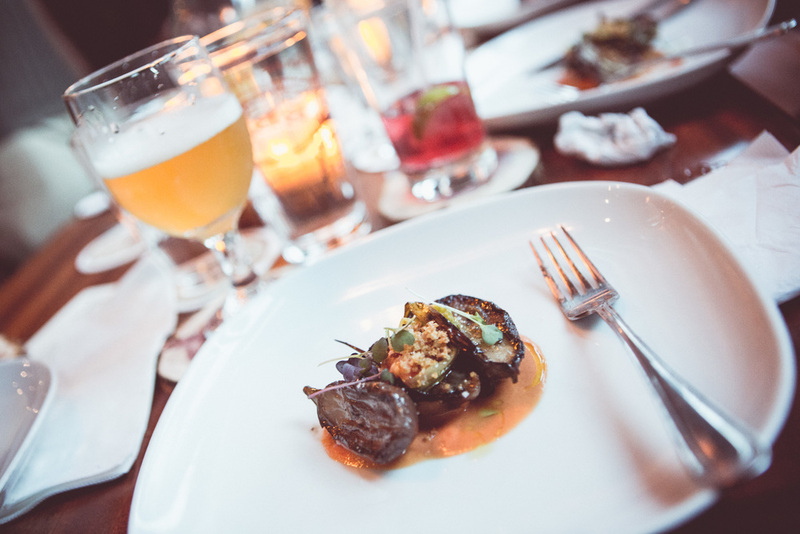 We have forged many great relationships with our customers over the past year, and we are truly looking forward to the opportunity to relax and share in the culinary delights of Chef Damian Evangelous with you. A few tickets still remain. If you are interested in attending, you can find more information HERE. As we inch closer and closer to announcing the exciting future plans for Tree House, we've been reflecting on our roots and how far we've come. During these reflections we can't help but feel deeply grateful to those of you who have supported us (in more ways than one) along the way. Thank you so, so much. Try not to melt, I dare you! 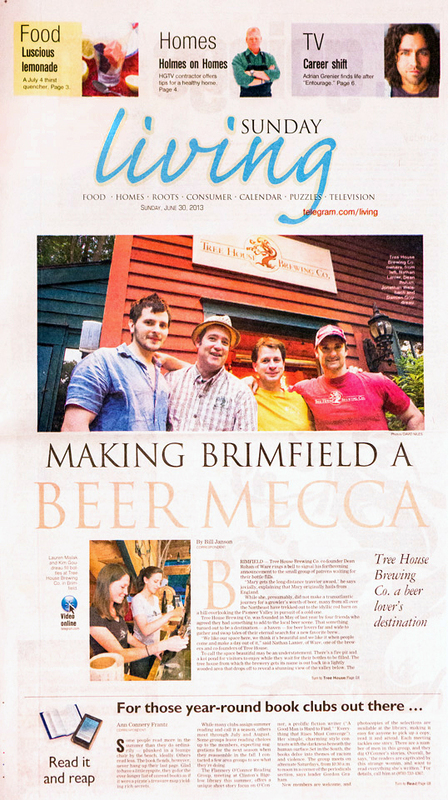 This has been a week of great press coverage here at Tree House. We can't express how much we appreciate it when someone takes the time to articulate their thoughts about our beer or visiting the barn. It invigorates us! So, thank you! 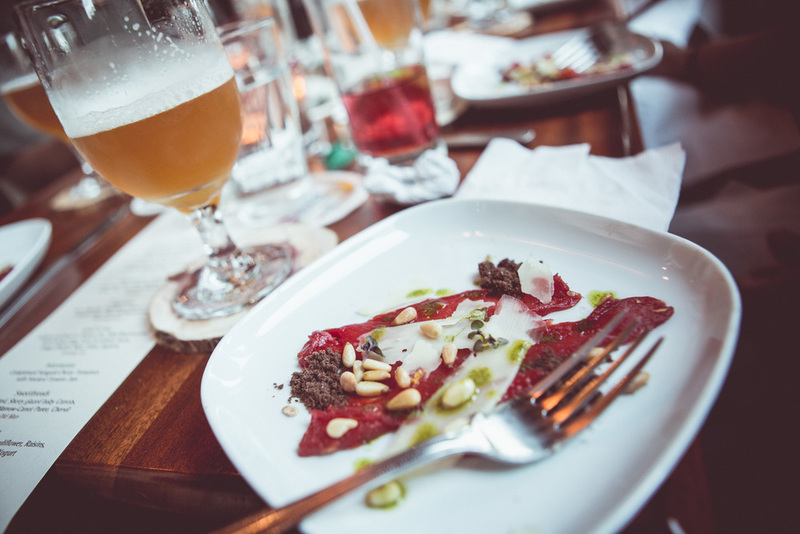 "The thing about this beer is that it isn’t the biggest, it isn’t the hoppiest (though it is quite hoppy), it doesn’t have any crazy ingredients… What it does have, though, is complete precision when it comes to balance, flavor and aroma. The brewers at Tree House have adjusted all of the levels just right. It’s so fresh, so burstingly plump and delicious, so exquisitely hopped. I don’t know what else to say, this is just one hell of an IPA – perhaps one of the best I’ve ever had." 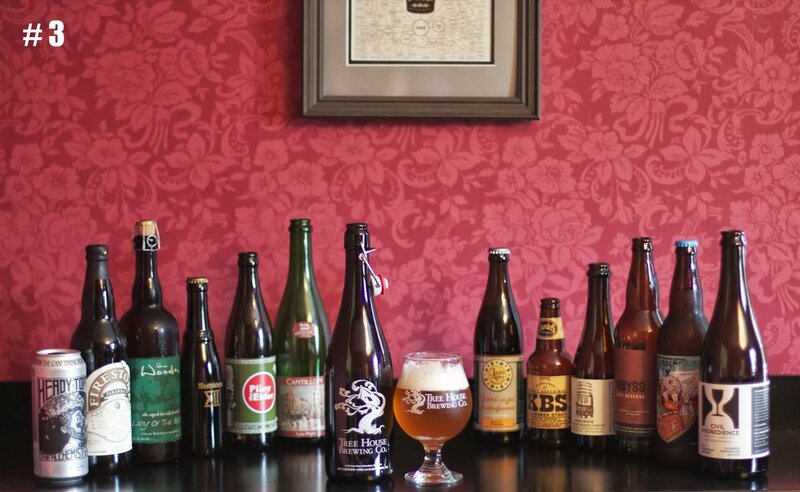 Please support our friends at Drink Insider and check it out! "Now for the brews. After our hike we drove across US Route 20, where Dearth Hill Road gives way to the winding St Claire Road. Near the top of the hill we arrived at the inconspicuous Tree House Brewing, nestled in the trees. A small group of home brewers, inspired by a successful beer tasting with friends, founded the brewery in 2011. Two of the owners and their friendly puppy greeted us as we stepped out of the car. They showed us around the brewery, and we admired the gleaming brew kettles and fermenters and marveled at their impressive bottle-filling station. 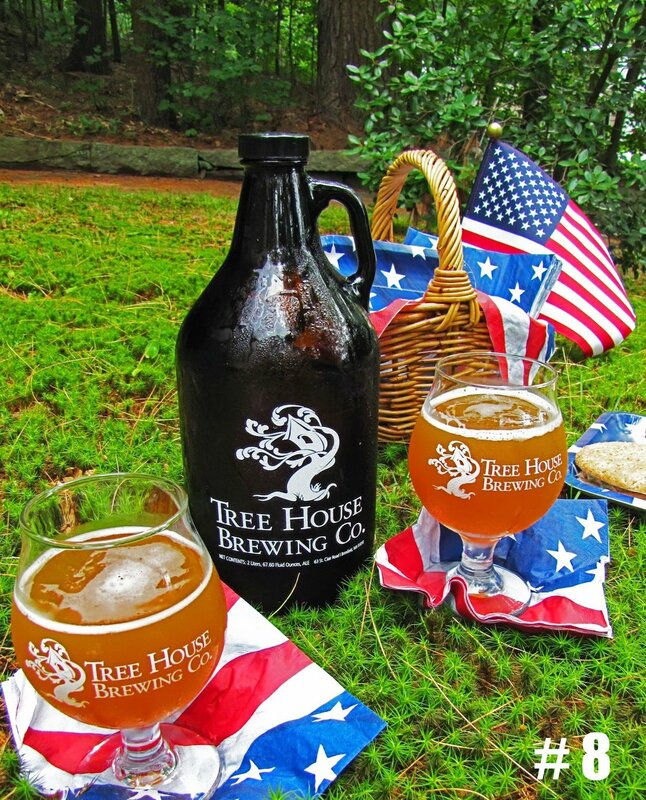 Tree House's highly sought-after brews now rival some the best in the Northeast, with beer connoisseurs traveling long distances to visit the brewery." We love the AMC and all their hard work, so it was humbling to get coverage on their website. So cool! You can read the whole thing here. 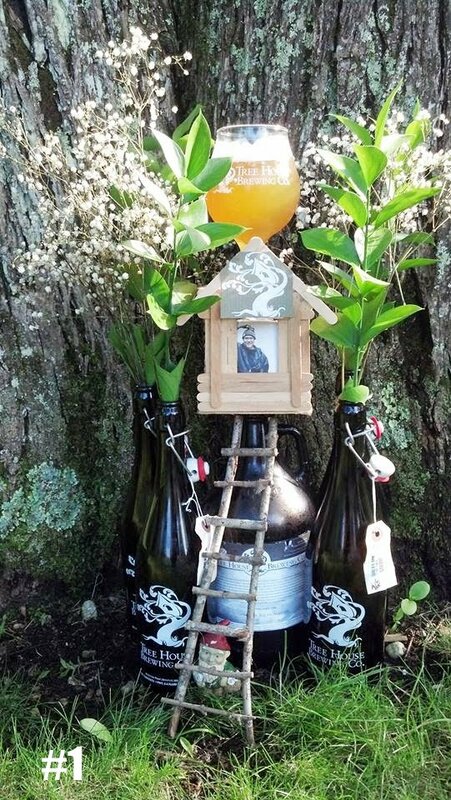 "Tree House Brewing is a veritable Eden in tiny Brimfield, with views of the Pioneer Valley mountainside, a koi pond perfect for picnicking, and a fire pit where visitors lounge with growlers of Nate Lanier’s fantastic beers. 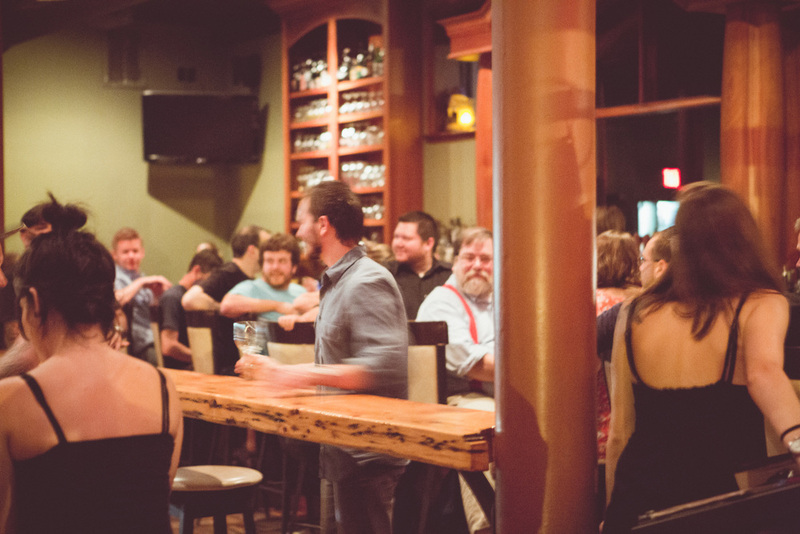 “We work hard to make our little brewery a beautiful space to kill a few hours,” says Lanier. 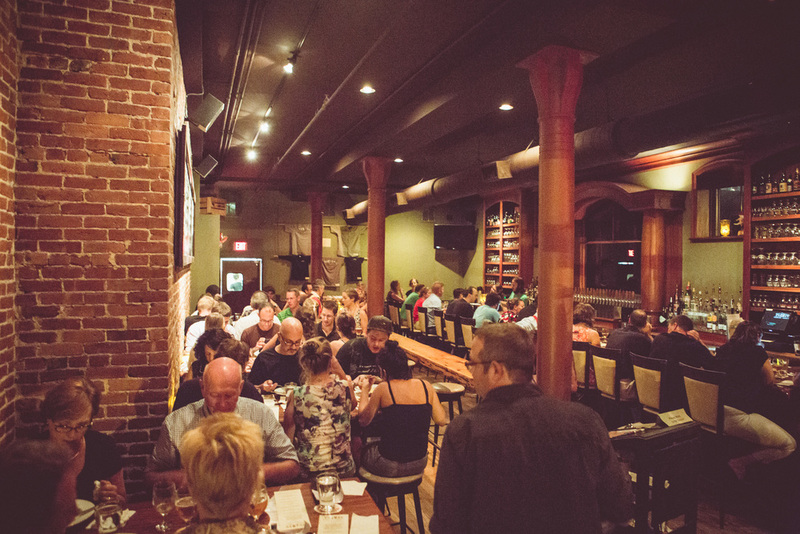 “It’s a peaceful, invigorating space.”"
And finally, we were featured in this months issue of BeerAdvocate. You can purchase the magazine digitally online here, or subscribe to the hard copy here! We encourage you to do so - we find even the adverts to be interesting and relevant. We hope your growlers are pouring well! We'll see you Thursday with a new batch of "That's What She Said"! Absolutely delicious. Happy Friday, all! 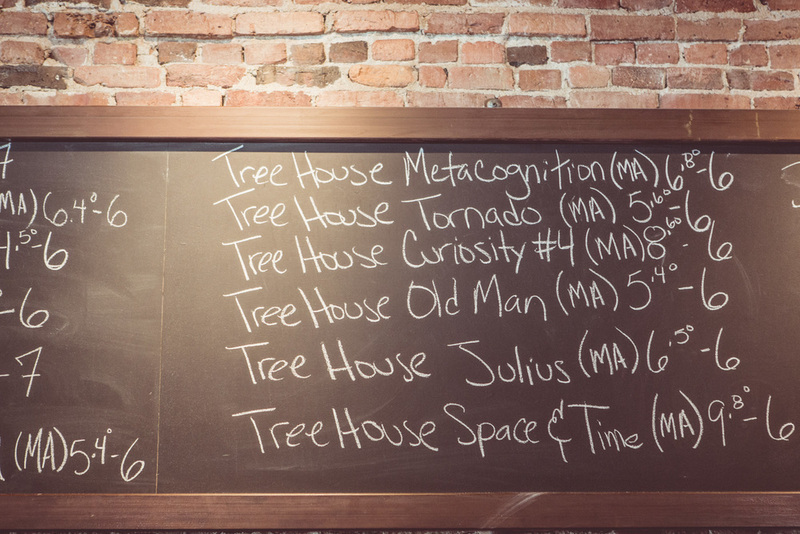 I had the idea to make an iPhone/Android app for Tree House that would simply tell you, reliably, what was on tap at any given time. Instead of diving into the realms of the Mobile Developing Platforms (rather focus on making beer), I made a special "ON TAP" page formatted better for mobile phones. Android directions forthcoming. Rock and roll. 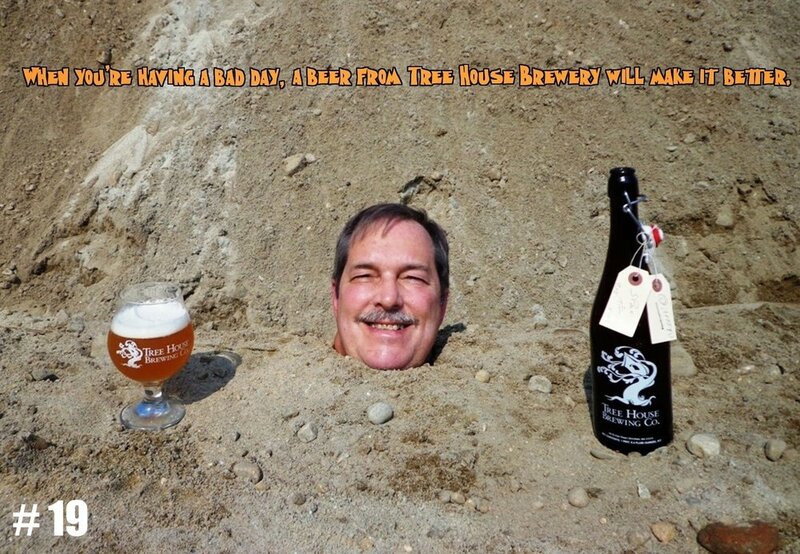 A heartfelt thank you from all of us at Tree House for the fine job Gabe Bellegard Bastos did covering our tiny brewery in his column for Porchdrinking.com. "I think that confirmed everything I had hoped Tree House would be. Beautiful and inconspicuous? Check. Awesome, welcoming folks? Check. How many breweries have you been to that weren’t obviously breweries from miles out? There are usually barrels and bottles everywhere, and brewing tanks—giant shiny cylinders—don’t hide easily. 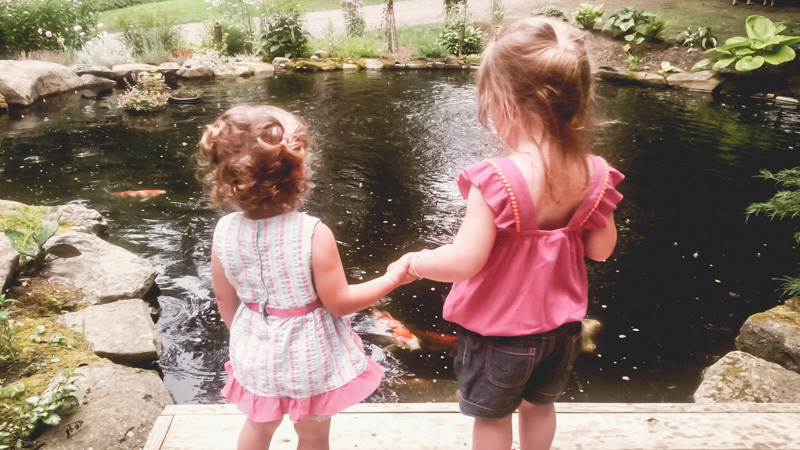 Instead, as you get close to Tree House, what first captures your eye is a beautiful koi pond." Please go here to read the whole thing! This is a hard one to write, 'cause everyone who submitted a photo is a winner in our book. The winners were determined by popular vote from 16 friends and family of Tree House. Each voter chose their three favorites privately and the photos with the most votes won, in their respective order. Ties would result in a tiebreaker vote, but this proved to be unnecessary. So, without further adieu..... drumroll.... the winners are:...! # 3 - Mr. John Barker! #2 - Ms. Erin Lea Lovern! "celebrating independence day; drinking curiosity 3! cheers!!" Grand Prize Winner - Mr. Jonathan Baczek! "This is a picture of Julius taken on a beautiful Saturday afternoon. The golden glow of the beer was almost as beautiful as the sun that day. I hope you enjoy the picture as much as I enjoy drinking your beer!" Congratulations to the winners and thank you so much to everyone who participated! We will be reaching out to the winners soon with their loot! Please enjoy the rest of the entries below. . .